Samsung Electronics also is trying to take a part of the growing SSD market with the introduction of own solid state drive with Serial ATA Revision 3.0 interface . 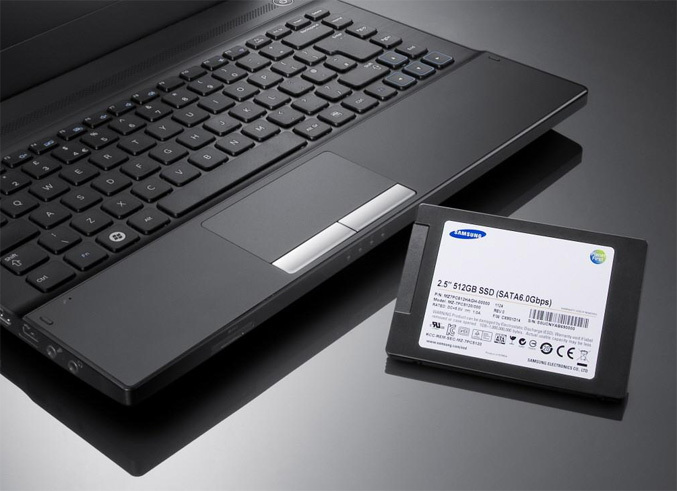 Samsung’s new PM830 SSD models utilize company’s 20 nanometer (nm) class 32Gigabit multi-level cell (MLC) NAND memory chips and are targeted for use in notebooks and tablets. The drives offer sequential read and write speeds of up to 500 MB/s and 350 MB/s and also feature high level of security using an AES 256-bit encryption algorithm to protect personal or corporate data from unauthorized access. Samsung’s PM830 6Gb/s SSDs are available in 512GB, 256GB and 128GB densities.